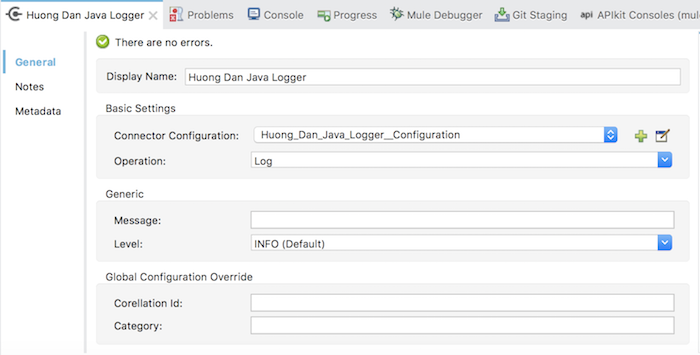 Huong Dan Java Logger is a Mule ESB component, enhancing and adding new features that the default Mule ESB Logger component does not yet have. The Category, we have to configure many times, although its value may be the same in a Mule application or a Mule Flow. 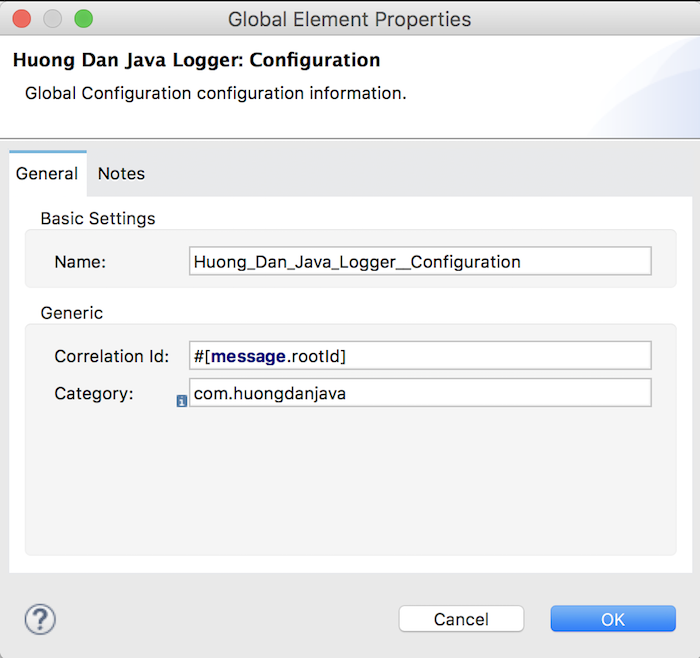 In addition to the Message and Level information, similar to the default Mule ESB Logger component, the Category information in Huong Dan Java Logger has been included in the Global Configuration section so that you can reuse this Category configuration in other endpoints of Mule application. For endpoints that need to change the Category, you can configure to override the value configured in Global Configuration, using the Global Configuration Override section in the main configuration section of the Huong Dan Java Logger. Huong Dan Java Logger also introduced a new feature that allowed the Mule Message’s Correlation Id information to be transmitted to the Mule Message log. This allows the user to identify the request having a problem in case an error occurring in their Mule application. Of course, Huong Dan Java Logger still has good support for the configurations that need to use Mule Expression Language (MEL). Here are the tutorials of the Huong Dan Java on how to build Huong Dan Java Logger. We hope to receive the support and feedback from everyone to Huong Dan Java Logger better, more complete, meet the needs of users.